Sure enough, you should've stayed in bed this morning: The latest, greatest thing on social media is the "shelfie," a carefully composed digital still life. It's basically a subtler version of the #aftersexselfie, replacing sticky bare limbs with items ordered on Etsy. It's the Wall Street Journal that spotted the trend and assigned the name. (Instagram users typically only apply "shelfie" to photos of bookshelves, but it works.) It's about gathering up ~significant~ objects and creating something that's you. You know the kind of snap I'm talking about—the uncrinkled New Yorker issue, the farmer's market tomatoes, the artfully chipped antique teacup. It probably appears in someone's feed alongside a regular selfie. "Creating something beautiful is compelling and addictive. It's meditation of sorts," Ms. Robertson, 50, writes of the assemblage process, adding that you don't need anything except your eye and your chosen objects. "Even if nothing else in your room pleases you, you can transform one surface to your own satisfaction." But frankly, this just reminds me of the time I visited an e-commerce company and got a peek at the corner of the office where they photographed housewares and home goods. It was basically a big messy, dusty closet—except for the occasional perfectly laid tableaux that ended sharply just outside the frame. It was like seeing the bones inside someone's hand. "I don't have a proper china set yet," she admitted, citing the confines of her New York apartment. 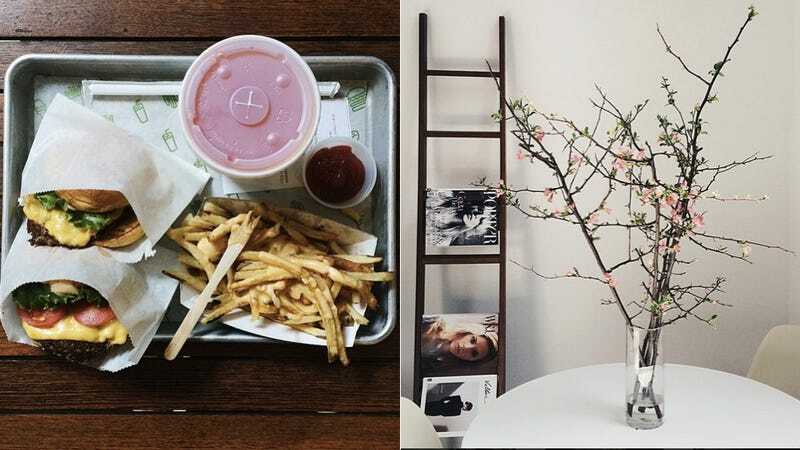 These photos are about creating or capturing this one small aesthetically pleasing corner. So it suggests perfection, but doesn't really reflect it. "Some of the shots require a lot of preparation. I'll rearrange large pieces of furniture and stand on chairs," said 20-year-old student Danika So, who snaps photos of dorm-room essentials like afghans and popcorn. "It's wonderful to see mundanity transformed." But life happens in the realm of the mundane, so it's probably not particularly good for any of us to spend our days scrolling through artifice. It does set us up nicely for those advertisements that pop up in our streams, though!